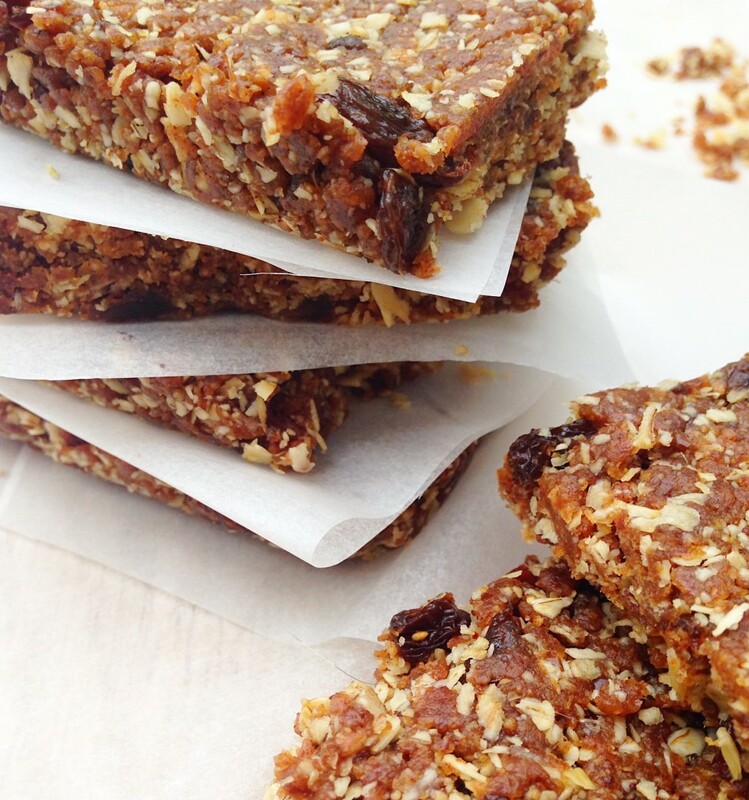 These are very similar to my Almond Butter Oat Bars, minus the chocolate and with a few additions! They make a great treat on the go and they’re so comforting with a cup of tea. Combine the oats and cinnamon and mix well. Add them to your food processor with the almond butter mixture and blend until combined. Roughly chop the raising and mix them in. Press the mixture very firmly into a baking tin lined with parchment paper. 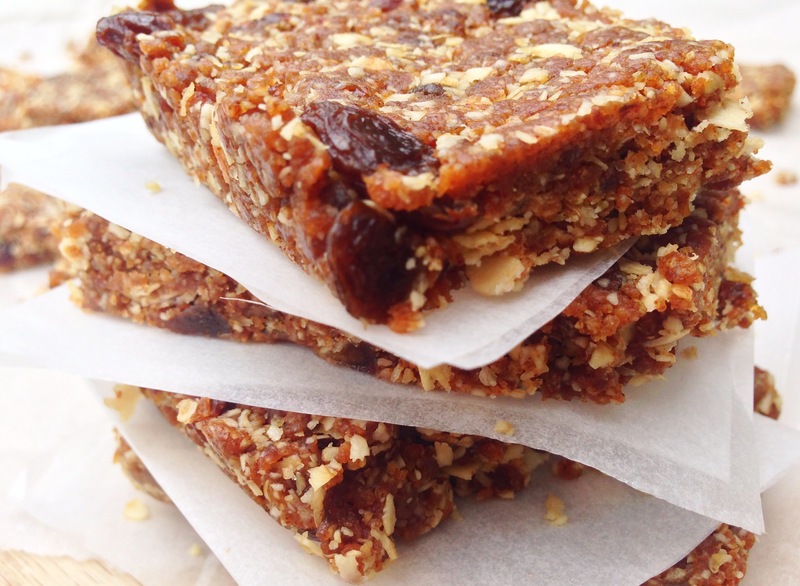 Pop them in the fridge for about an hour and then slice into bars. Thank you!! They should keep perfectly for about a week if you keep them in an airtight container in the fridge, I usually finish mine in about three days so I’ve never gotten that far!